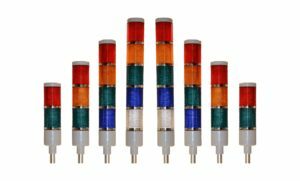 LED stacklights are known in different industries as industrial stacklights, LED tower lights, LED stacklights, LED andon lights and signal beacons. 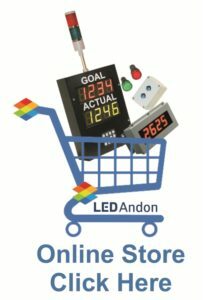 These LED andon products are an economical and effective tool for any facility. Commonly used for material, line stoppage indication, quality, supervisor, line leader or team leader requests, plc output control, predictive and preventative maintenance, as well as reactive maintenance. The utilization of LED Tower Lights is extremely effective when visual signaling is necessary and price is an issue. Anything from one to five colored sections are available as well as with audible signaling and flashing capabilities. LED andon lights are an economical source of instantaneous data, alerting personnel of needs in real-time for lean manufacturing environments. LED Counters allow factory personnel instant access to real-time production counts. They can be used to monitor production output, batch counts, cycle counts, reject or bad part counts and more. 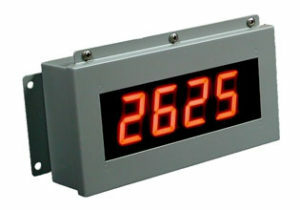 These counter devices are often referred to as a industrial counters, production counters, cycle counters, piece counters, led counters, electronic counters, or an array of other names. They are a valuable source of information to assembly personnel and plant managers. Industrial LED Electronic Timers are effective tools to improve run time, decrease downtime, changeover time, takt timer, setup time, cycle times and more. Great device for maintenance timing to provide realtime visual when machine maintenance is needed. These units are a low cost means of providing real time data to factory workers when it’s needed the most. Awareness of line conditions and measured actual takt times are vital to improving overall efficiency and performance. Electronic timers help to improve production flow and help eliminate waste to allow lean manufacturing at it’s best. Transmit any real time data desired using simple ascii output from any smart device using RS232/485. 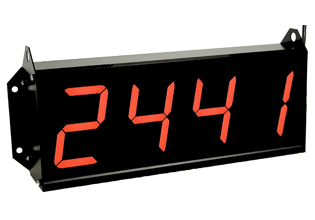 These indoor industrial grade LED (light emitting diode) displays offer long distance viewing and long lifespan to display critical data such as: length, count, measurement, temperature, cuts, diameter and more. 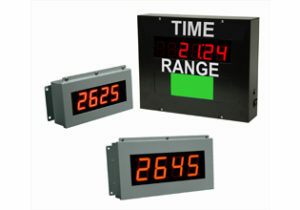 Our Industrial “Shot Clocks” are a low cost method to provide instant increase in production output by informing operators of desired goal in realtime. Goal field can be programmed to auto increment by any programmed pace and offer ability to program scaling factors. Manufacturer of indoor LED display products, digital boards and led signs. Electronic displays are effective tools for increasing workplace productivity & decreasing costly waste. Ideal for those looking to improve workflow while minimizing cost. Our LED display products are typically used for identifying problem areas and increasing awareness for preventative and reactive maintenance. LED electronic displays are an essential tool to increase output and quality, decrease downtime, bottlenecking and waste. American LED-gible LED products aid in vital communication of data to ensure your production line is operating at optimum efficiency. Whether you are looking for simple tower lights for visual alarm controls or counters for batch, piece, shift, linear foot or daily counts our products are suitable for a wide variety of environments. Our LED display products are manufactured here at our facility in the USA. American LED-gible manufactures and distributes thousands of LED display and andon indicator products every year. Both standard models for fast turnaround and custom build to order for just about any application needed. Our electronic displays offer long lasting means to display vital plant data at a glance.